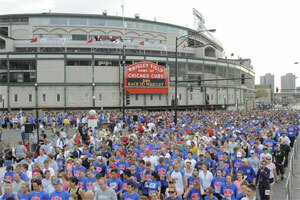 Please be advised that the Cubs Charities Race to Wrigley will take place this Saturday, May 11, beginning at 8am at Wrigley Field. The course runs through the neighborhood and ends back at the ballpark. No Parking will be in effect on affected streets from 4:00 AM until 12:00 PM. This entry was posted in Community News, Ward 44 and tagged 44th ward, Parking on May 10, 2013 by elvn_updates.